아이트래킹을 이용하여 유아나 아이가 걷기도 전부터 그들이 세계를 어떻게 느끼고 무엇에 관심을 끌리는지 자세히 알 수 있습니다. 특히 영유아 지각, 주의, 애착, 사회적 인식에 대한 정보를 제공합니다. How do children understand what other people do, think or feel? How do we decode the actions and intentions of other people? How does the ability to follow or coordinate our actions with others around us develop in in infants? Eye tracking is an invaluable research tool aimed at understanding how infants develop control over the oculomotor system and how different eye motions (smooth pursuit, saccades, and vestibulo-ocular) are integrated. 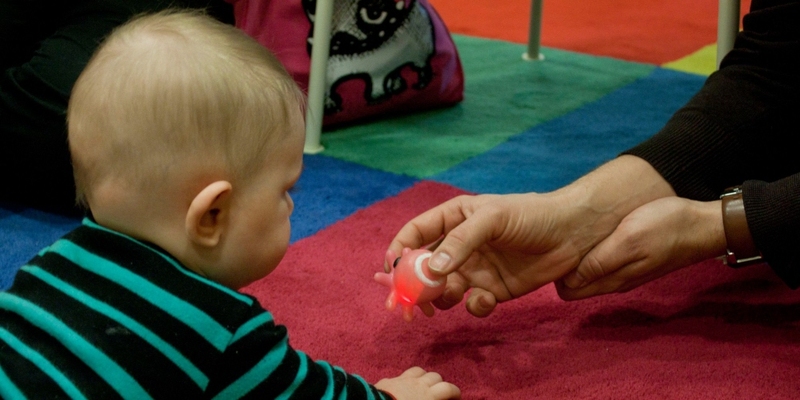 Typically in such studies, infants are presented with target images that move in various trajectories, and eye tracking is used to measure their eye and head movements as they track these objects. 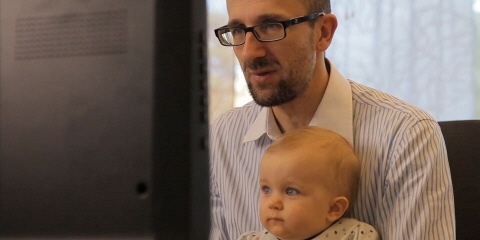 Scanning patterns provide valuable information about how infants distribute their attention and interest as they scan different images or dynamic events. Saccade latencies give information about when infants shift their gaze between two locations, allowing researchers to study predictive and reactive gaze shifts. 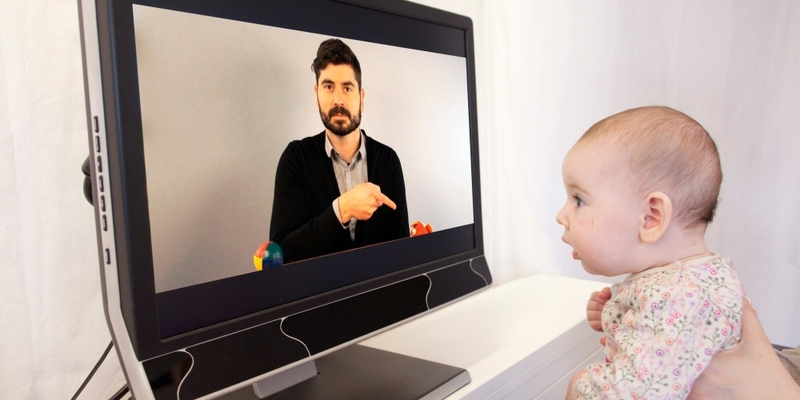 Being able assess eye movement data over time allows examination of the time course of learning and how infants' attention changes over multiple presentations of a stimulus set. 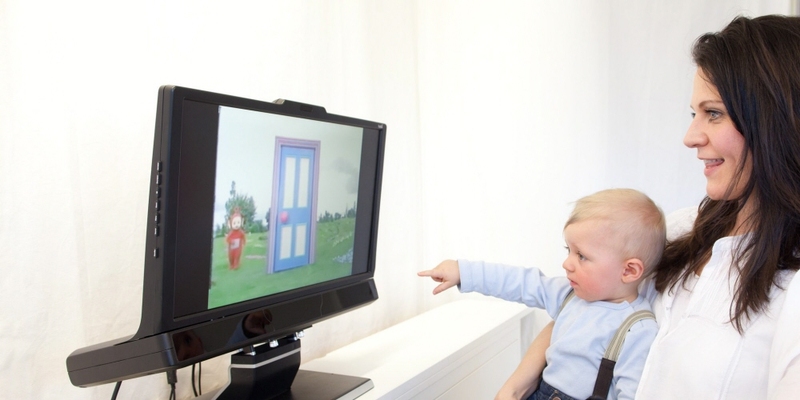 Much research has been carried out to understand how infants remember (represent) temporarily hidden or occluded objects. 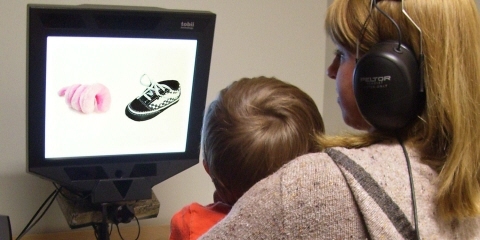 Eye tracking can provide a detailed description of how infants' actions are directed to ongoing occlusion events, by determining when and where their gaze shifts from one location to another (saccades can be predictive of future target locations, with latency indicating how far in advance this prediction is made), thus revealing the development of object permanence.